It was great! 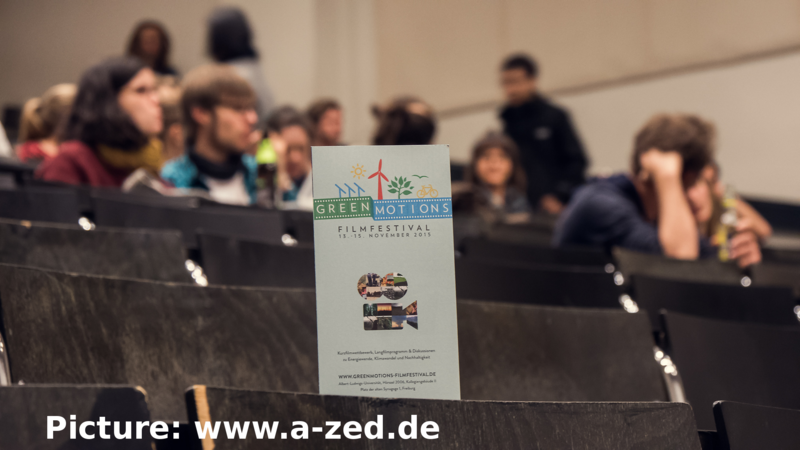 In November 2015, the second Green Motions Film Festival was held in the hall of the aka- Film Club e.V.! 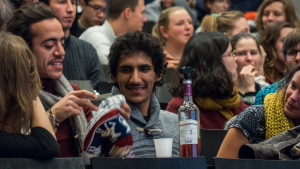 We are delighted that more than 900 guests joined our screenings and social events! The best moments and scenes are captured by Thomas Scheibler and placed in our film clip. 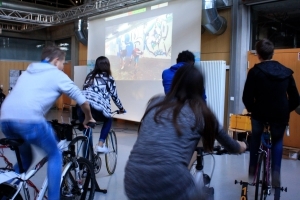 Prior to the main event, a bicycle cinema provided by Solare Zukunft e.V. took place in Droste Hülshoff Gymnasium Freiburg. The students watched the preselected short films for the Short Film Competition and chose “Less is more” from Maximilian Ottl as their winner. The cinema’s projector was powered by 10 bikes that were cycled by the students. The main event began on Friday 13 November with the world premiere interactive Arte documentary “Operation Air “. 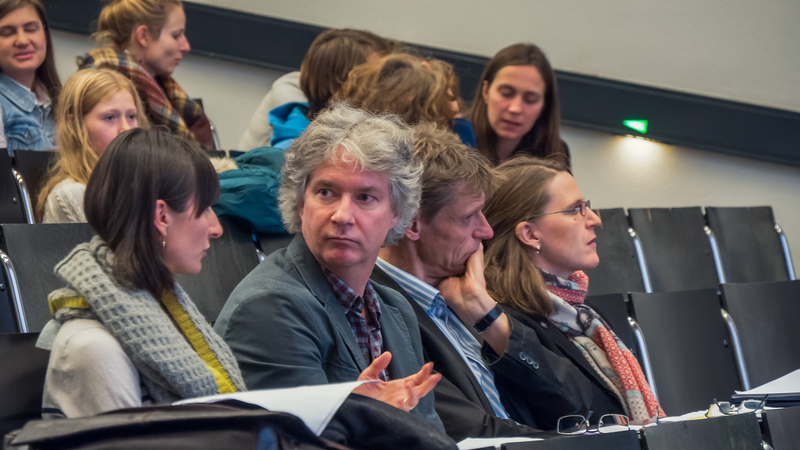 The filmmaker Blandine Grosjean and the project manager Camille Huout travelled to Freiburg to answer the questions of audience. The film was also broadcasted during the 21st UN Climate Change Conference on the 24th November on Arte and was then published online. The programme continued with the new film by Frank Farenski „Leben mit der Energiewende 3 (Live with Energy Transition 3)“ . After the screening, the director answered questions from the audience and provided further background information about the film over Skype. The opening of festival was celebrated on the Friday evening at the Jos – Fritz – Café. 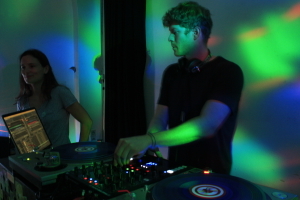 The guests of the festival were invited to participate with the ‘Bicycle Disco’ where the power for DJ Fanthomas’ sound system was “pedaled” by the guests. 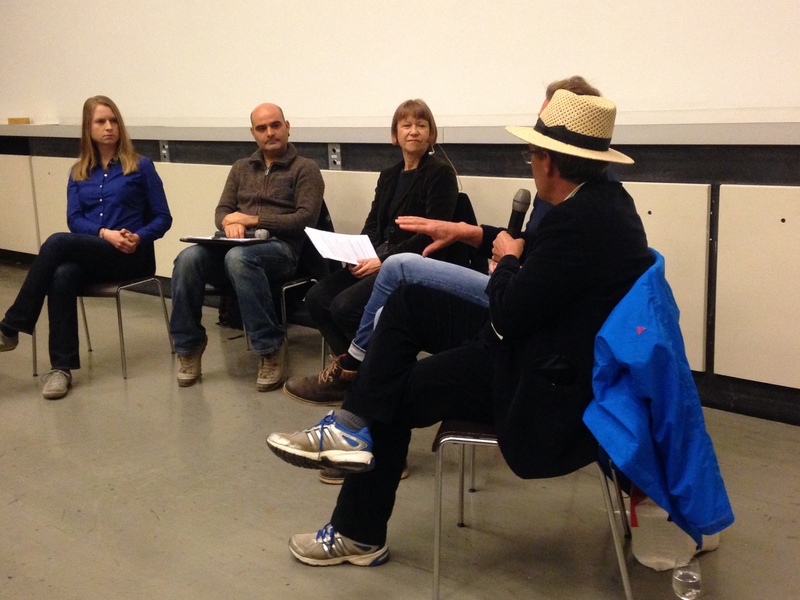 Another highlight of the festival was the panel discussion moderated by Dr. Sigrid Faltin on Saturday evening. Maren Urner from Perspective Daily, Luciano Ibarra from Medienkollektiv Cinerebelde, Jan Ludwig from SWR TV and Leo Hiemer, a freelance filmmaker, discussed about solution-oriented journalism versus problem-oriented reporting with the audience. The final event in the festival was the screening of the top seven short films selected by the expert jury for the international short film competition followed by the announcement of the winners. The films that were represented to the audience were a colourful mix of stop motion videos, animations ,music videos, documentaries and feature films on the topics of energy saving ,solar energy ,waste, and lignite. More information on the winners of the short film competition and the audience prize can be found here.